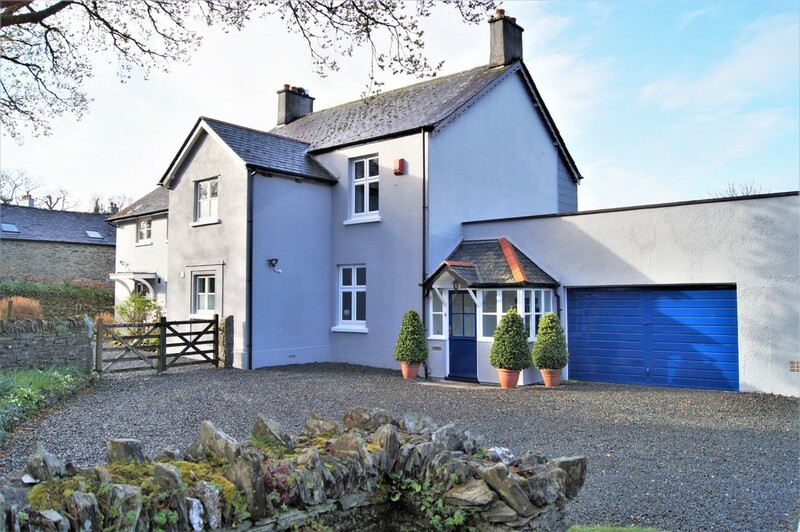 - NO ONWARD CHAIN - An immaculate DETACHED FORMER FARMHOUSE with 5 BEDROOMS providing a comfortable and versatile home with scope for an ANNEX or RENTAL INCOME. 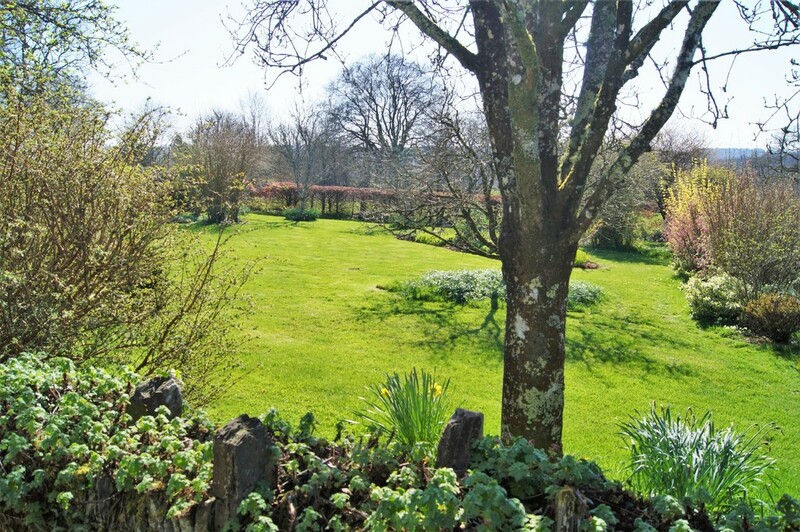 Situated on the edge of Dartmoor the gardens extend to approximately 0.68 ACRES and surround the property including a greenhouse,GARAGE/WORKSHOP. 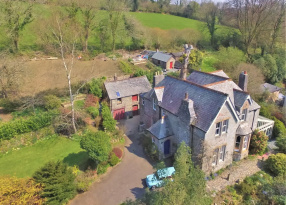 SITUATION AND DESCRIPTION An immaculate detached former farmhouse positioned within the Dartmoor National Park and close to open moorland. 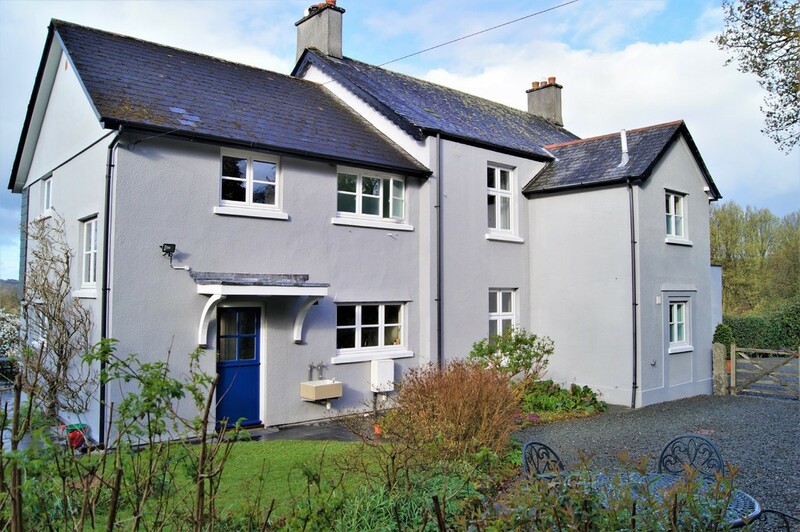 We understand the house was originally built as a dairy farm in the early 1900s and then later extended in the 1970's providing a comfortable and versatile home with scope for an annex or rental income. 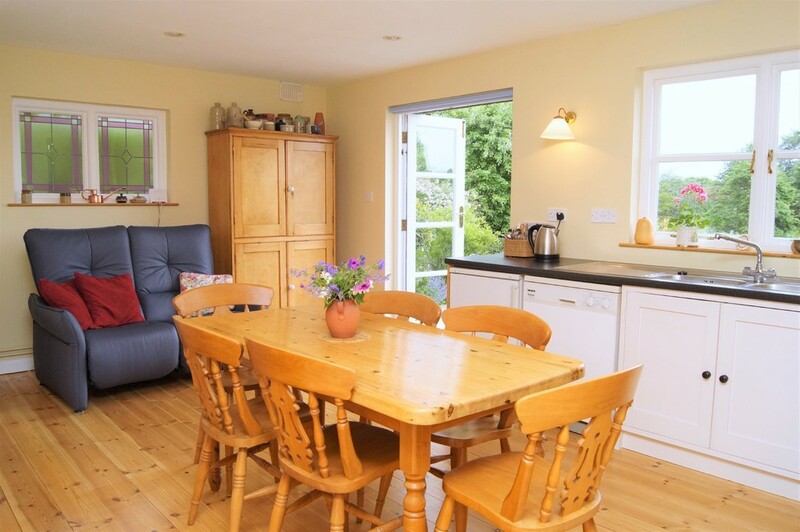 The current owners have created a light and airy living space which has superb views out to the gardens and surrounding countryside. 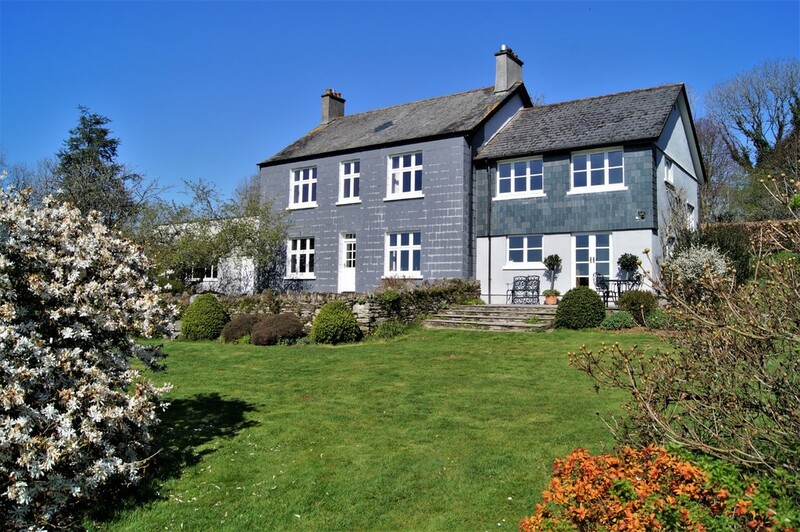 The gardens en-compass the house and enjoy a south westerly aspect at the rear. 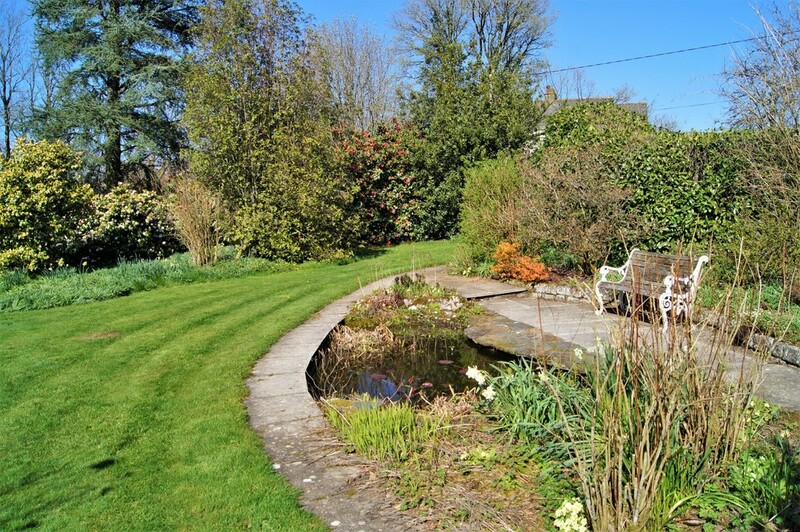 The gardens are a particular feature and extend to plot size of approximately 0.68 of an acre with stunning shrubs and flowering plants interspersed with lawns, fruit trees, seating areas and a wildlife pond. There is also a productive fruit and vegetable garden which is fenced and contains a greenhouse. 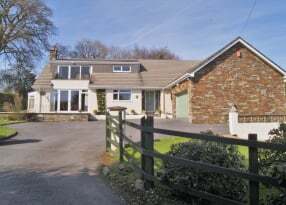 To the front is a gated driveway with ample parking for several cars and a sizeable garage/workshop. 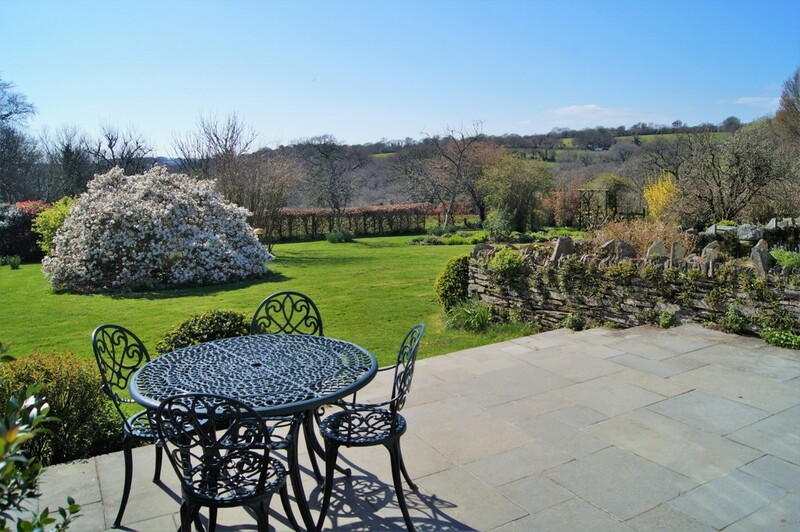 There is an area of front garden with a seating terrace, enclosed and bounded by a high Devon Bank ideal for breakfast and the morning sun. 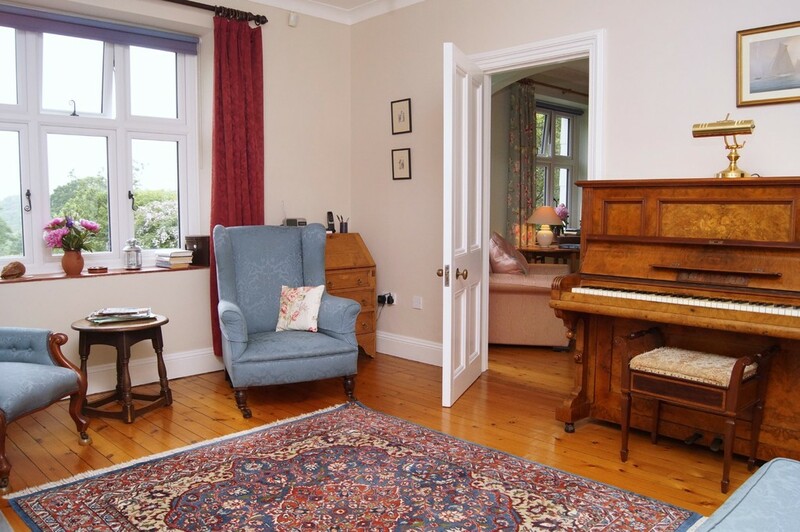 The balanced accommodation offers notable character typical of the age and comprises of porch, reception/dining room, sitting room, snug, kitchen breakfast room, side lobby, utility/boot room, study and a shower room. 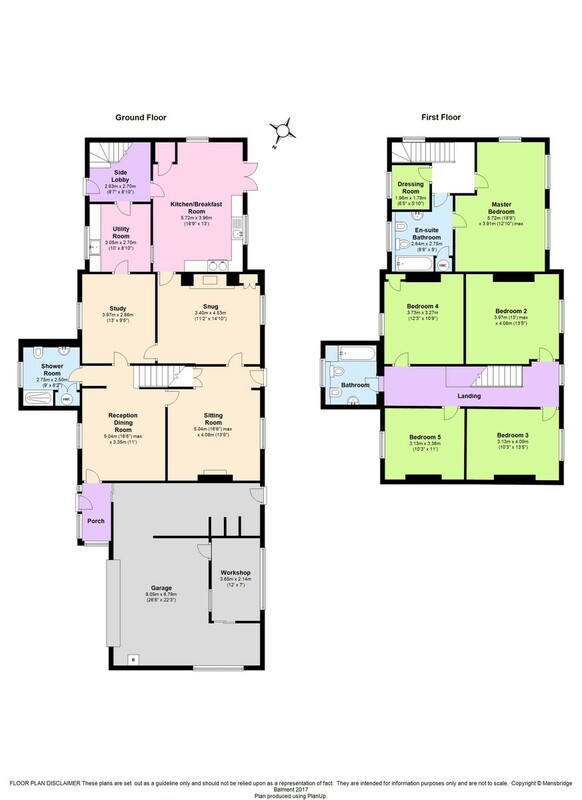 There are two staircases to the first floor, one opens to a landing and a master bedroom suite which offers en-suite bathroom and a dressing room. The dressing room has been in the past a kitchen and therefore this area lends itself to being an independent annex or rental. 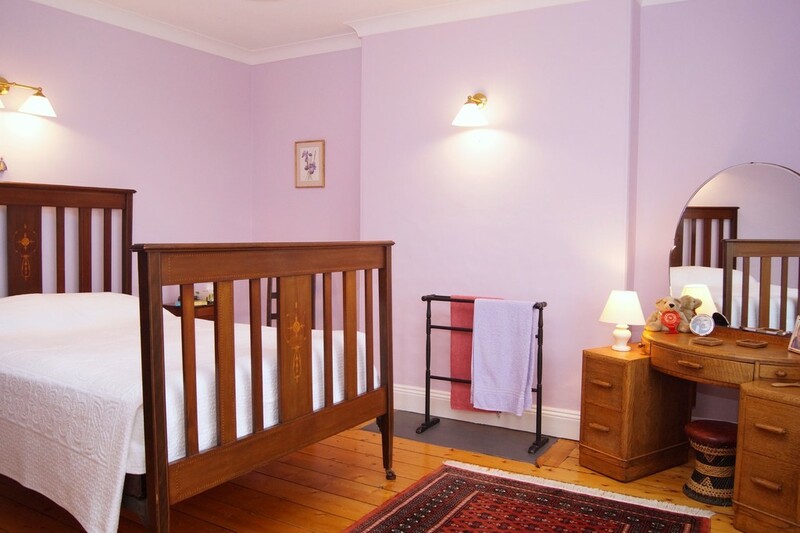 A further staircase opens to a large landing with four good size bedrooms and a family bathroom. There is a loft space which could command a sublime elevated view and create further living or bedroom space subject to planning consent. 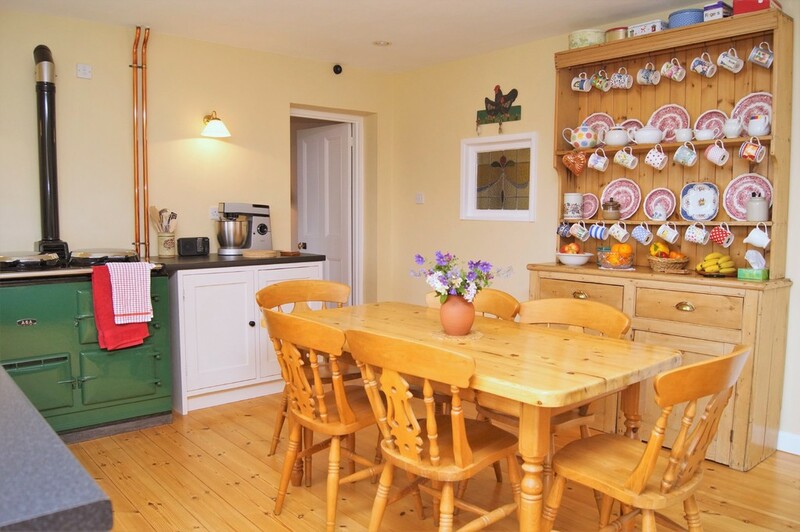 The property has oil fired central heating providing hot water; there are two oil tanks, one is for the Aga which produces additional hot water. 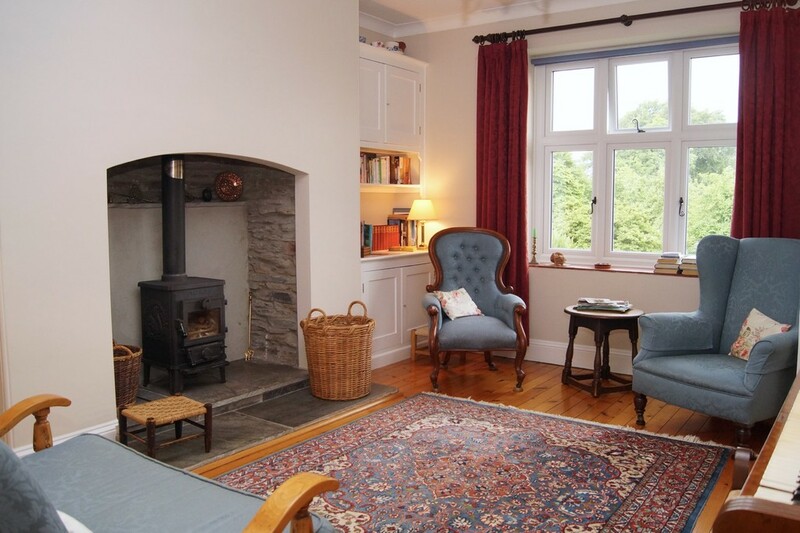 The home is also warmed with modern double glazed windows, wood burning stove and open fireplace and has the benefit of original slate floors, as well as quarry tiles and polished wood floors. 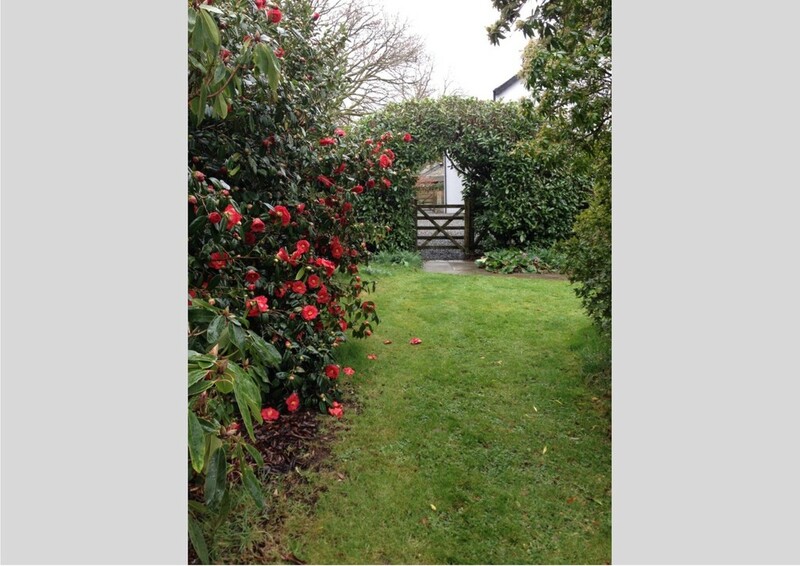 There is a septic tank in the rear garden, mains water and electricity. PORCH 8' 5" x 4' 2" (2.57m x 1.27m) Stable door; double glazed windows; quarry tiled floor; step up to door into reception/dining room; sliding door into garage. SHOWER ROOM 9' 0" x 8' 2" (2.74m x 2.49m) Double glazed window; double shower cubicle with glass pivot door; wall hung w.c. and wash hand basin; radiator; airing cupboard housing hot water cylinder; extractor fan; tiled floor. FIRST FLOOR Stairs from side/lobby leads to a master bedroom suite off a landing. 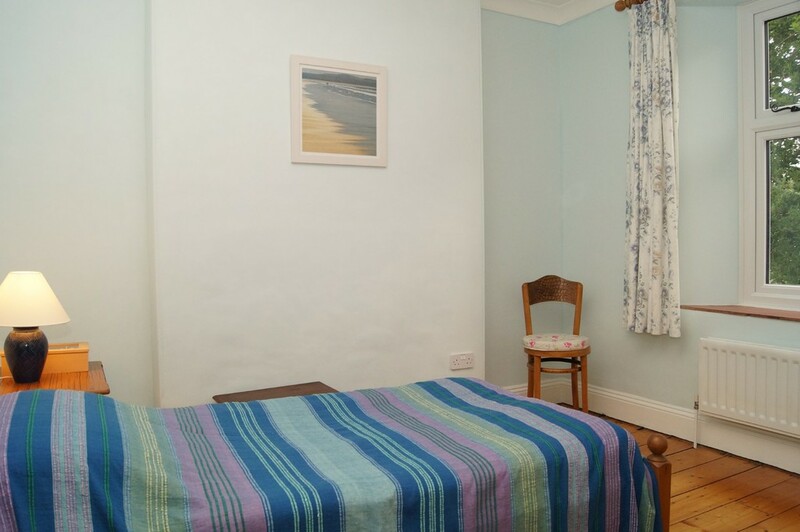 EN-SUITE BATHROOM 9' 0" x 8' 8" (2.74m x 2.64m) Panelled bath; wall hung w.c, bidet and wash hand basin; airing cupboard housing hot water cylinder; door back to landing; double glazed window to front, radiator..
DRESSING ROOM 6' 5" x 5' 10" (1.96m x 1.78m) Double glazed window to front; electric cooker point; radiator; fitted shelf and rail; potential further bedroom or small kitchen for annex/rental. 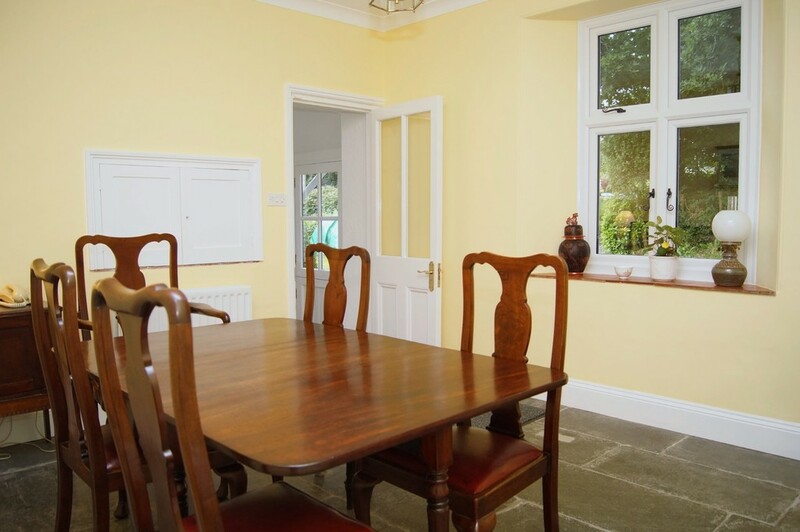 Second staircase from reception/dining room rises to first floor and to a sizeable landing. 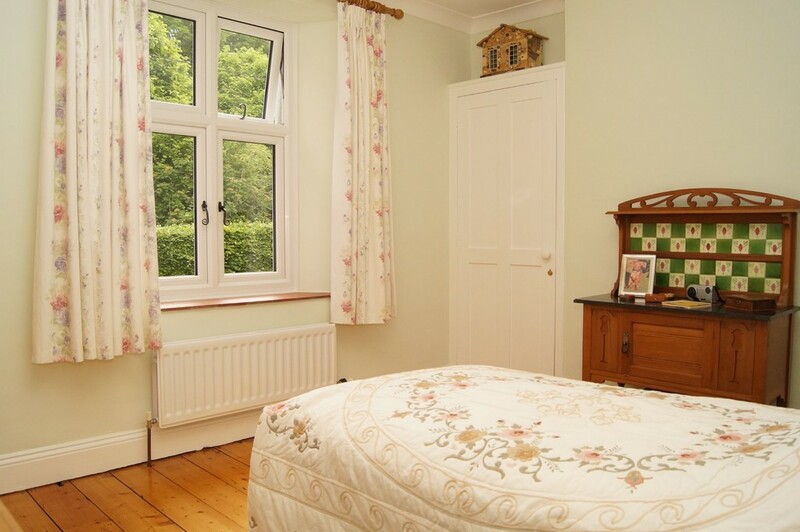 BEDROOM TWO 13' 5" x 13' 0" (4.09m x 3.96m) Double glazed window to garden and views; radiator; chimney breast. 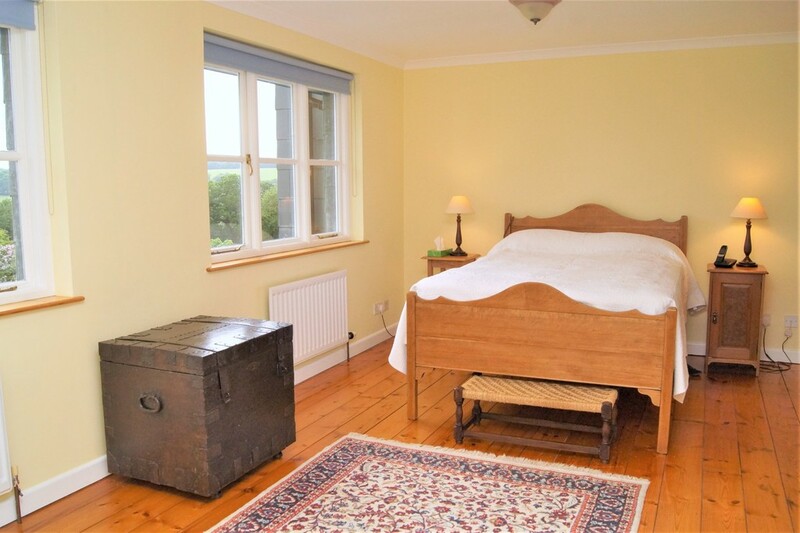 BEDROOM THREE 13' 5" x 10' 3" (4.09m x 3.12m) Double glazed window to gardens and views; radiator; chimney breast. 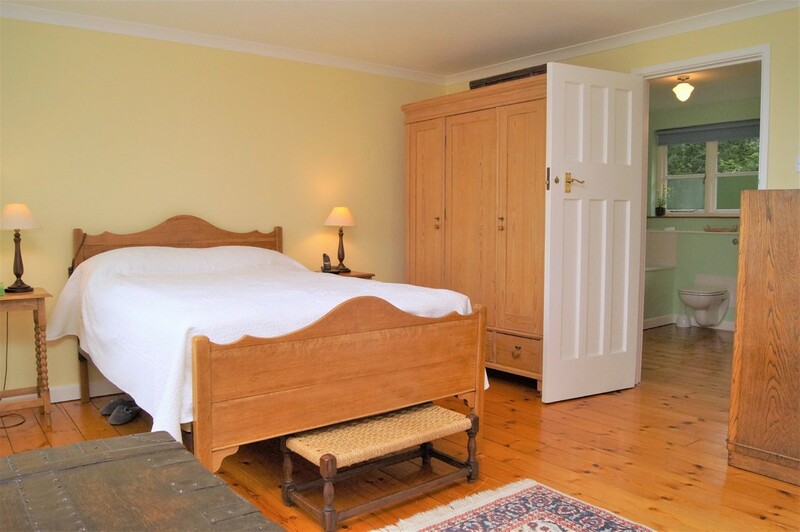 BEDROOM FOUR 10' 9" x 12' 3 extending to 13'0" (3.96m)" (3.28m x 3.73m) Double glazed window to front; radiator; built-in wardrobe and chimney breast. 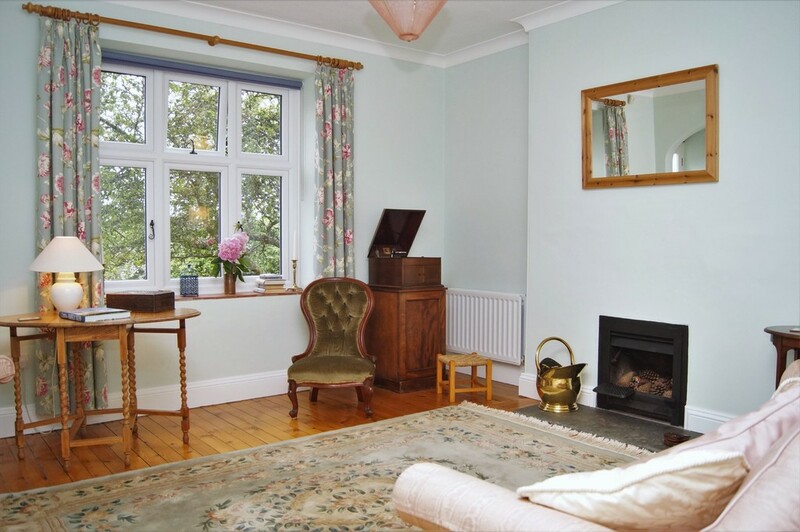 BEDROOM FIVE 11' 0" x 10' 3" (3.35m x 3.12m) Double glazed window to front; radiator; chimney breast. 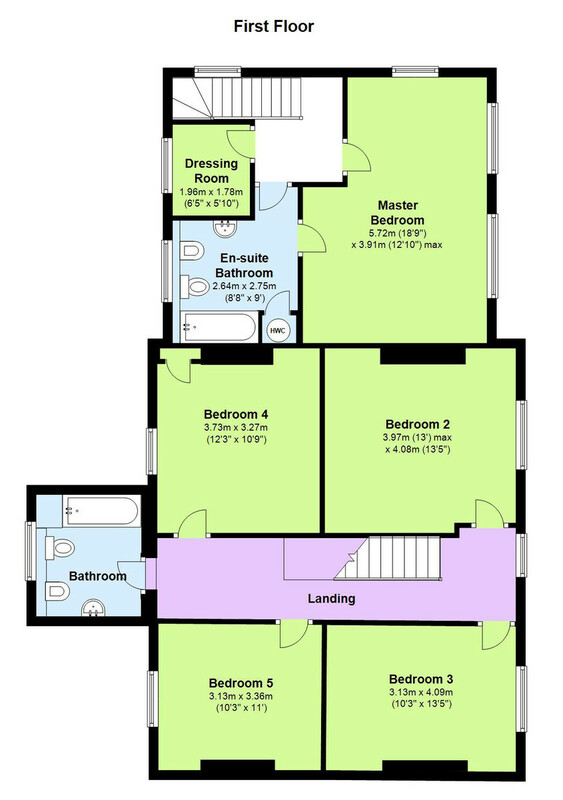 FAMILY BATHROOM 9' 8" x 8' 3" (2.95m x 2.51m) Double glazed window; panelled bath; radiator; wall hung w.c, bidet and wash hand basin. 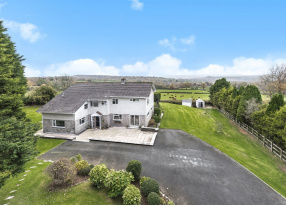 OUTSIDE The property is approached from a five bar gate onto a stone chipping driveway in front of the house and sizeable garage/workshop. This area could park several vehicles comfortably with further space for hard standing. 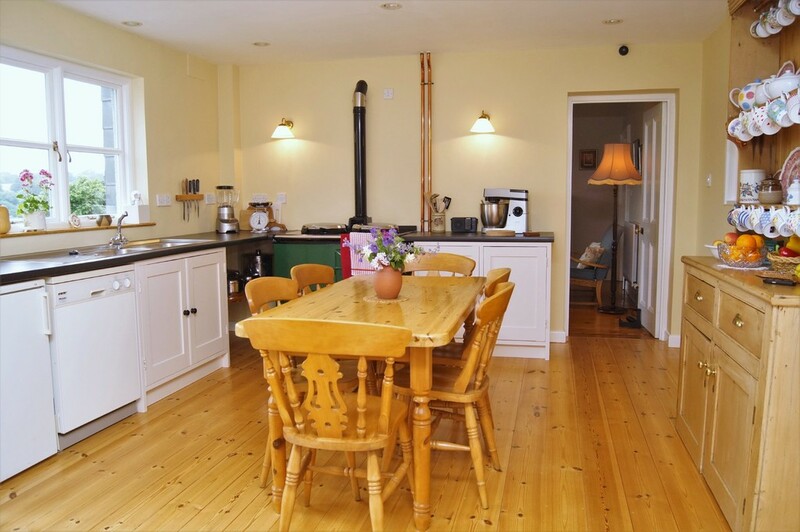 There is a gated courtyard area to the front with an covered well and a useful wall mounted Butler sink with hot and cold taps. 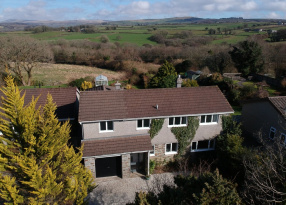 On the south elevation is a beautiful wisteria with a paved path which leads in turn to the south west facing terrace which is adjacent to the kitchen doors, perfect for evening entertaining. 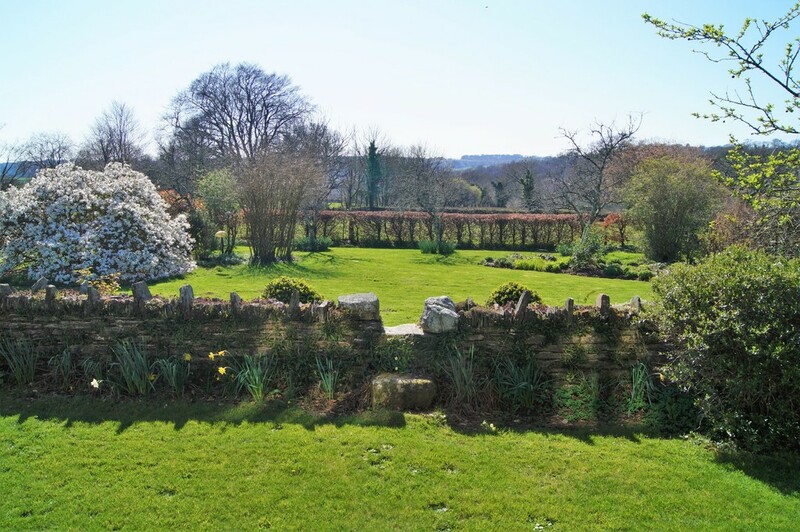 The gardens extend to approximately 0.68 of an acre in a south westerly direction and backs onto fields with stunning views over the surrounding landscape. 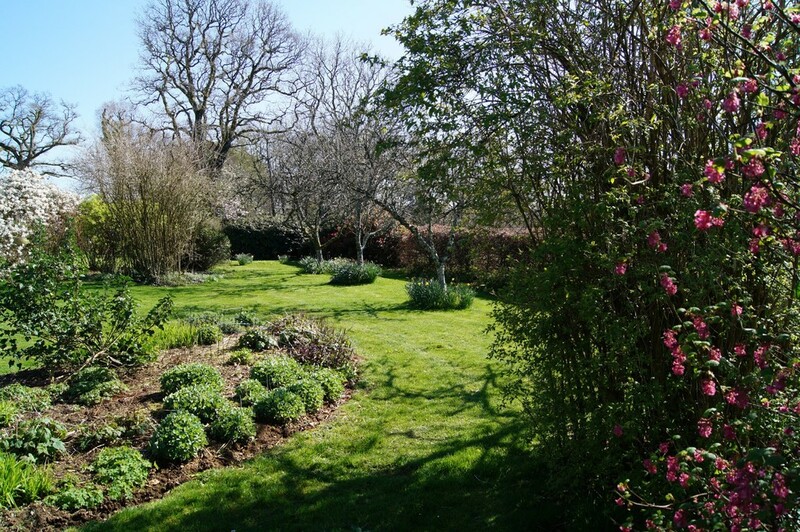 They are mainly laid to lawn with a some beautiful flowering shrubs and planted beds. 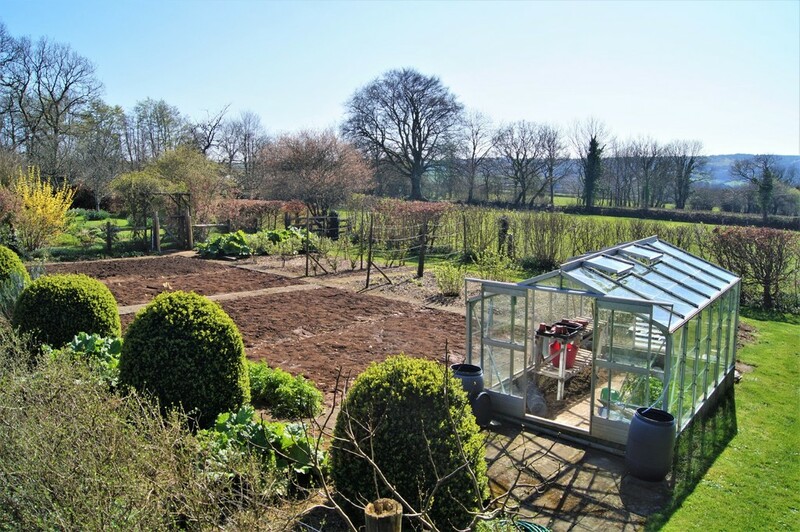 In the western corner of the grounds is a segregated vegetable garden with a greenhouse which has been very productive for the current owners over many years. The grounds continue back around back to the driveway area flanked by a wildlife pond with paved seating area and path. INTEGRAL WORKSHOP 12' 0" x 7' 0" (3.66m x 2.13m) The workshop is positioned inside the garage with windows to both garden and garage; power points and lighting. 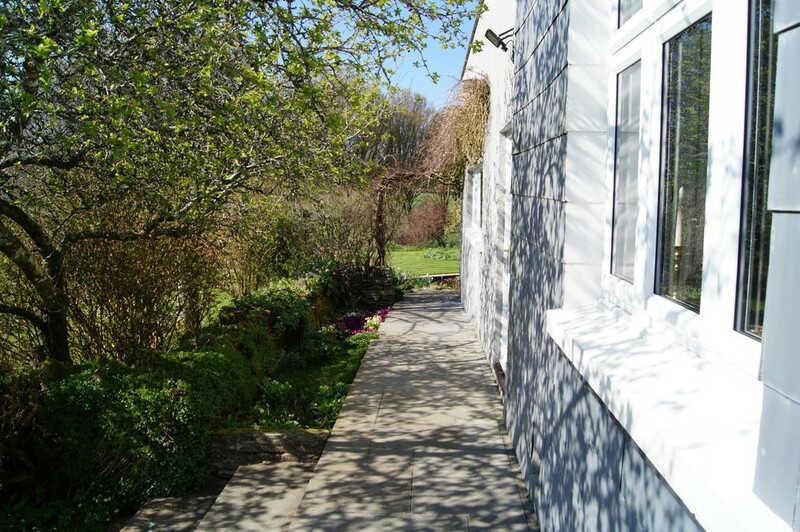 AGENTS NOTE There is a well in the front courtyard area which provides water to a neighbouring property. SERVICES Mains electricity and mains water. Drainage to a septic tank. Oil fired central heating. OUTGOINGS We understand this property is in band ' G ' for Council Tax purposes. 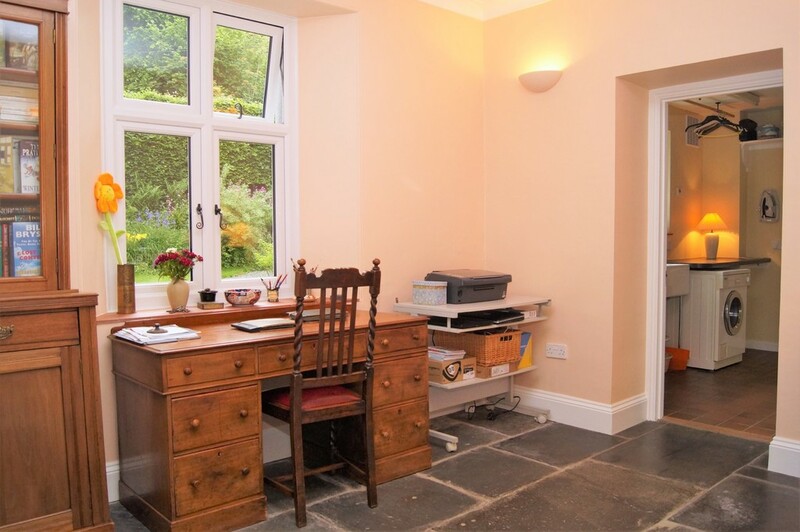 DIRECTIONS From our Yelverton office proceed from the roundabout on the B3212 towards Dousland. Take the first turning on the left signposted to Walkhampton. Continue on the country lane into the village, staying on the same road, which in turn passes the war memorial, Walkhampton Inn and School and then continues onto Huckworthy. Pass over the beautiful Huckworthy bridge and follow the road up the hill until the crossroads. 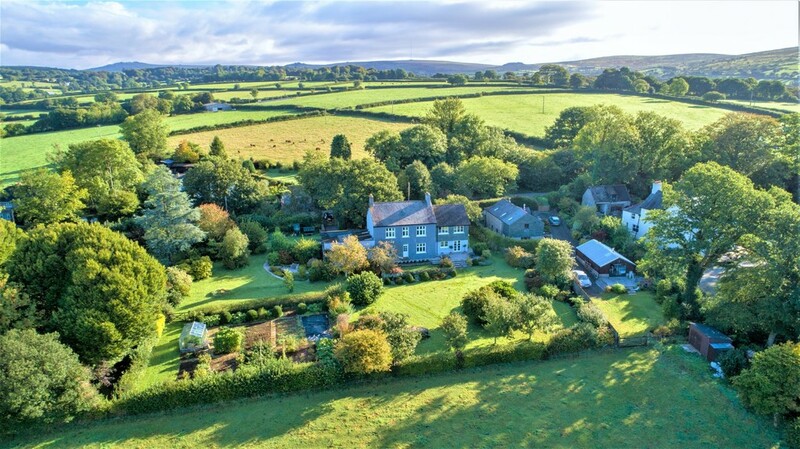 Head straight ahead into the hamlet of Brook and the property will be found on the left after a short distance.